I’ve been reading a lot of books about leadership, and a common theme in most, if not all, of the books is that the most successful leaders have a sense of purpose. They have identified WHY they do what they do, and then they communicate that purpose to their teams. The reason I’ve made this change is because I’ve discovered my purpose as a school administrator. 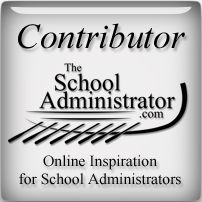 In one of my previous, and probably the most important, posts, I shared how school administrators have a profound effect on the future of our society. If we do our jobs well, we will produce highly qualified, highly motivated, and highly skilled men and women who will have an impact on the direction of our society. On the other hand, if we don’t do our jobs well, society will be affected as well. The more I consider the importance of our roles as leaders of schools, the more it becomes clear on how great a responsibility we have, not only to our district, but to society as a whole. Thus, my purpose as a school administrator became clearer. I have to be more than just an administrator. I have known school administrators who have been great at managing. The keep the school running. I believe to change the world, however, that we have to be more than just managers. We have to be leaders. I like to use the analogy of a boat when comparing a manager to a leader. A manager keeps the boat afloat. A leader inspires those on the boat to grab an oar and start rowing toward a better world. That is why it is so critical to recognize the importance of our roles as school administrators. When we understand the great impact that our position will have on the future of society, we can focus more on leading than on managing. How do we change the world as school administrators? 2. Communicate your vision. This is important, but what happens in many cases, is that the vision is stated once, and then never again. It’s important that your staff is reminded often of the vision. We all need to be reminded of WHY we do what we do. 3. Reward what you want repeated. This is another common theme in my readings. People want to feel appreciated for their good efforts. If you want them to keep doing what they do, make sure that what they do is rewarded. Some ideas for recognizing your staff can be found in the post, Recognizing Your Teacher Rock Stars. 4. Monitor and adjust. Changing the world will take more than a just-set-it-and-forget-it approach. You have to keep track of progress. Another quote that I’ve read is, “What get’s monitored, gets done.” Another idea that I read about was keeping a score card for what you want monitored. That is, if you want to increase the number of students getting GPA awards, for example, keep a score card that is checked often. It will allow you to focus on that particular measure. 5. Teach your leaders to be leaders. What happens if you get hit by a truck tomorrow, and you are transported to the great beyond? Will your leaders know your vision? Will they be able to lead or just keep the boat afloat? Identify your leaders. Then, inspire them to be leaders – to accept the responsibility of changing the world. You can’t change the world by yourself. That is why I blog. I know that alone, I will never succeed in changing the world, but with the combined efforts of forward-thinking school administrators who have accepted the responsibility, we can’t fail. I would love to hear what you think about all this. Please share.